This lot features a vintage 1948 "Another Part of the Forest" original movie theater poster. This poster remains in nice condition as it has been stored flat and has not been folded only rolled. 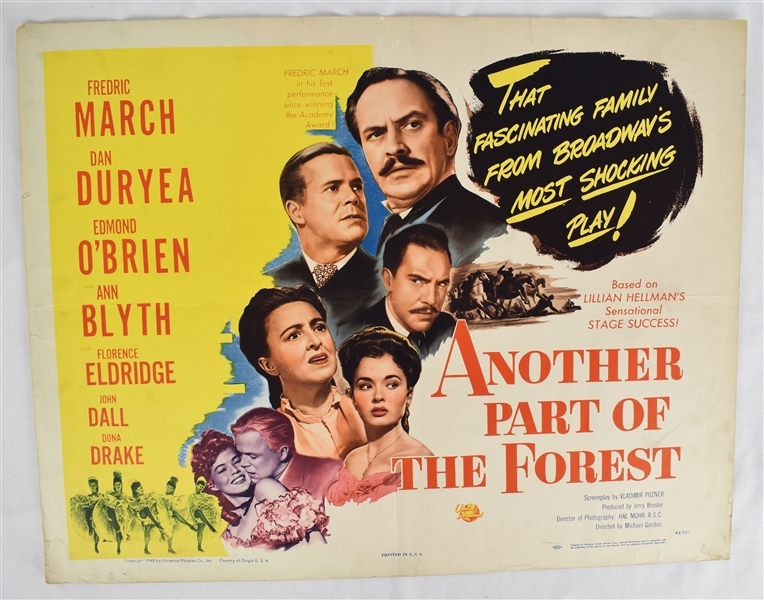 Another Part of the Forest is a 1948 American drama film starring Fredric March and directed by Michael Gordon. The screenplay by Vladimir Pozner is based on the 1946 play of the same name by Lillian Hellman, which was a prequel to her 1939 drama The Little Foxes.